The PH Government’s main objection to the original East Coast Rail Link (ECRL) project was premised on the way and speed at which the original contract was negotiated and signed in 2016. It was an unjustified, hefty lump sum price which lacked clarity in terms of technical specifications, price and, by extension, economic justification. 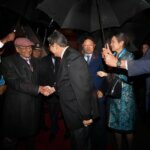 As the original contract was agreed on a G2G basis, the PH Government, in negotiating an improved deal for the ECRL, had to work within the constraints of the existing agreements. 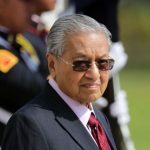 The PH Government was faced with the choice to either renegotiate or pay termination costs of about RM21.78 billion, with nothing to show for it. 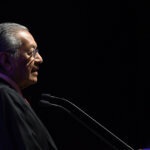 As such, we chose to go back to the negotiation table and call for a more equitable deal, whereby the needs of the Malaysian people would be prioritised. 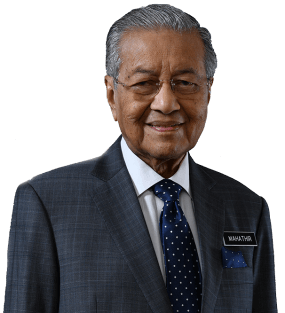 After long and protracted negotiations between the Governments of Malaysia and the People’s Republic of China, both parties reached a mutually beneficial agreement; the improved ECRL deal. As the Federal Government, it is our belief that the ECRL will serve as a stimulus for economic growth and development, especially in East Coast States, regardless of the fact that these States are under Opposition control. This improved project will provide freight and passenger transportation, attract investments along the railway corridor as well as generate significant employment opportunities. As announced on the 12th of April 2019, Malaysia Rail Link Sdn Bhd (MRLSB) and China Communications Construction Company Ltd (CCCC) signed a Supplementary Agreement (SA) which paved the way for the resumption of the ECRL project. In addition, both parties agreed to form a joint-venture company to manage, operate and maintain the ECRL rail network. The SA covers Phase 1 and Phase 2 of the Engineering, Procurement, Construction & Commissioning (EPCC) of the ECRL at a reduced cost of RM 44 billion. This is a significant reduction of RM21.5 billion or 32.8 percent, from its original cost of RM65.5 billion. The improved ECRL will cost RM68.7 million per km compared to RM95.5 million per km under the original agreement. 3. The ECRL will run through 20 stations, among others, from Kota Bahru to Kuala Terengganu, Kuantan, Mentakab and proceed to Jelebu, Bangi/Kajang, Putrajaya Sentral and onto Port Klang. Therefore, it will now pass through 5 States and WP Putrajaya from the previous 4 states, allowing more States to partake in the economic benefits of the improved deal. 5. The new alignment will leverage on the existing KLIA Express Rail Link (ERL) as well as the future MRT2 SSP Line with an interchange in Putrajaya Sentral. This will improve passenger connectivity to other parts of the Peninsula’s West Coast as well as provide a direct link to KLIA. This is a significant improvement to the single interchange via LRT in ITT Gombak as per the previous arrangement. 8. The ECRL’s New Completion Date: 31 December 2026, extended from original 30 June 2024. CCCC has agreed to participate in the operation and maintenance of the ECRL through a joint venture company to be set up (MRL 50%: CCCC 50%). CCCC will provide technical support and share the operational risk after the project’s completion. This arrangement will ease the financial burden on Malaysia, which previously was to bear the entire cost of the O&M. In addition, Malaysia can also leverage on CCCC’s expertise in operation & maintenance (O&M), hence improving the long-term viability of the project. We are confident that CCCC’s involvement will attract and spur investment along the rail link corridor, especially from China. RM500 million will be refunded within a week from 12 April 2019 and a further RM500 million within a month from 12 April 2019, for a total of RM1 billion. The balance will be settled within 3 months after deductions for verified claims due to abortive works, suspension and cancellation of the Northern Extension. Under the original ECRL agreement, the total project cost was RM66.7 billion. The loan amount from China-EXIM Bank, at 85 per cent of the project cost, would have amounted to RM56.7 billion. Under the previous Government, the current amount signed for with China-EXIM Bank is RM39.1 billion for Phase 1 alone. The balance of the RM17.6 billion for Phase 2 and the Northern Extension, luckily, were yet to be signed. With the improved ECRL at RM44 billion, the loan amount from ChinaEXIM bank will be reduced substantially. The reduced amount is still being negotiated with China-EXIM Bank and we envisage that this will result in lessening the financial burden of the Government in terms of the principal repayment amount, total interest costs and other fees. 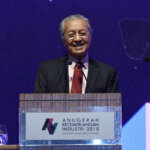 The improved ECRL is in line with PH Government’s manifesto to review and revisit all mega projects signed by the previous administration and its aim to even out the economic playing field between the East and West Coasts of Peninsular Malaysia. The conclusion of the negotiations, which began in July 2018, has resulted in substantial savings for the country, which was the ultimate aim of the PH administration when it initiated the negotiation process with China. We hope that the state governments of Kelantan, Terengganu and Pahang will also seize the opportunities provided by the ECRL rail network and leverage on the development and growth that will result from the construction of the ECRL. The PH government would like to stress that its objection to the ECRL was always regarding the high cost of the original agreement inked by the BN administration, and not against the ECRL per se. 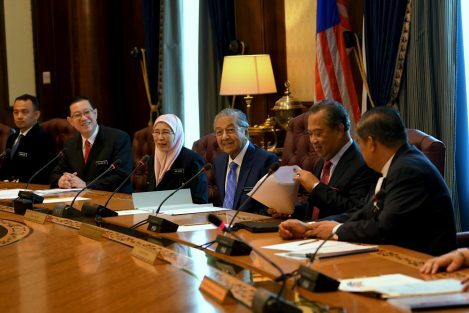 We are grateful to the Chinese Government for recognizing the Malaysian Government’s financial position and predicament, and agreeing to come to the negotiating table. 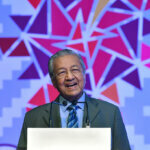 The Government of Malaysia would also like to thank the Malaysian negotiating team led by YABhg. Tun Daim Zainuddin, and the various working groups for their tireless efforts on the SA and O&M joint venture, thus enabling the ECRL to proceed at a far lower cost, for the ultimate benefit of all Malaysians.